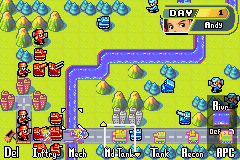 As a first release, Advance Wars was a very polished game. However, it has a handful of glitches, one of which is infamous and rather disastrous. This glitch is an incredibly ridiculous state failure bug which results in being able to quit the Design Maps mode without turning off the map editing functions. 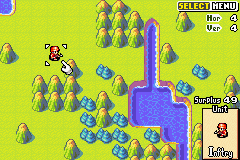 As such, you are capable of using the map editor in ANY part of the game. It allows you to rebuild, save, load, change armies and all the associated functions. 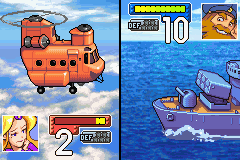 The glitch is performed by playing the Field Training mission “Naval Forces” and then losing the mission by having your T-Copter destroyed by Olaf. 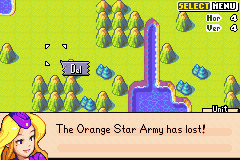 If you then proceed to Design Maps, place a unit, then delete that unit the game thinks that “Orange Star” has been defeated and ends your turn. From here, you can open up the In-game menu to quit the game (instead of using the Design Maps menu) and use the map editor anywhere. 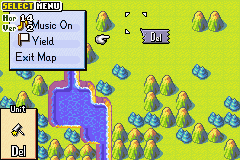 One of the noted uses of this glitch is to obtain unusually sized maps for use in Design Maps with the save/load function – you can save maps that have less tiles than the usual 30×20. Send the merry T-Copter to its untimely doom. Once lost, you’ll lose the mission. To design maps! Place another hapless unit to be sacrificed. Upon deletion, your current army will “Lose” somehow. You can now open up the standard menus that you’d see in a normal game and “Exit Map”. Enjoy the chaos of literally re-writing the game as you see fit. This glitch exploits a flaw in the fuel-counting function, resulting in incorrect amounts of fuel used. When plotting a path for a unit to follow, any time the path moves in a diagonal for the final movement if the directions are inputted on the same frame, only two units of fuel are consumed for the entire movement path rather than the standard amount. E.g. moving a Fighter North-East if you press Up+Right on the same frame it will only use two units of fuel. 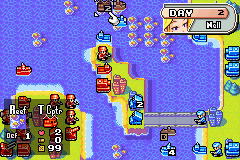 This only can work when a unit’s pathing is moved diagonally for the final action. It can be performed on units moving in cardinal directions if you are not traveling the full distance. 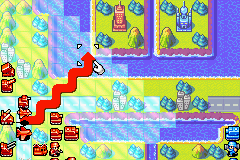 You can hold the two directions to use the glitch for the entirety of diagonal movement, too. 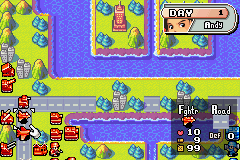 The Fighter starts with 99 units of fuel. A movement path that goes eight spaces. But only two units of fuel have been consumed by the movement.